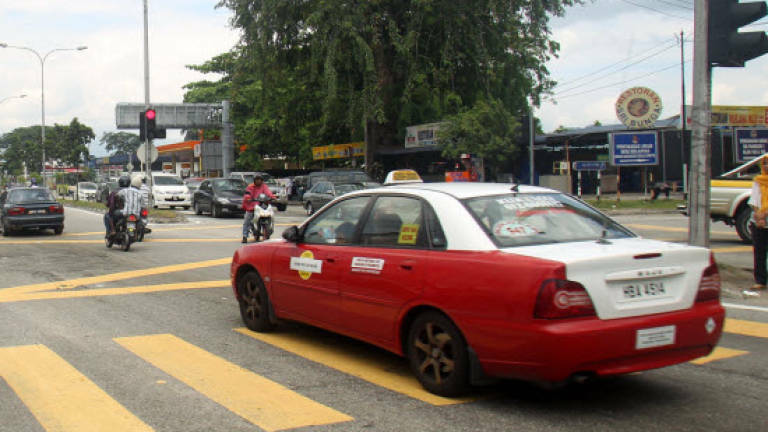 27 Jul 2016 / 13:14 H.
PUTRAJAYA: A new taxi fare rate is in the pipeline as part of a measure to streamline and revamp the Teksi 1Malaysia (TEKS1M) and budget cab operations soon. The proposed move will assist the conventional cabbies to cope with the upcoming taxi industry transformation which includes the proposed legalisation of e-hailing services by year-end. "It will be a dynamic fare structure and may include the installations of new taxi meters with GPS for performance assessment," said a senior government official involved in the inter-agency task-force to finalise the proposed taxi industry overhaul and e-hailing model. The last metered taxi fare hike took effect in March last year. Currently, the TEKS1M fare starts from RM4, with 30 sen for every 200m while the budget taxi flagfall rate starts from RM3 with 25 sen for every 200 metres. The time-based charge for budget taxis is 25 sen for every 36 seconds while it is 30 sen for every 36 seconds for TEKS1M. However, the app-based transport network operator (TNO) such as Grab and Uber, won't be subjected to the regulated fare rate when the e-hailing service takes off. "It is up to the TNOs to offer lower fares than the taxi rates," he said. "Besides, there is no law stating that it is wrong for taxi drivers or transport provider to offer fares lower than the regulated fare rate," he said. "Market forces will shape the fare trend in the long run." Surge pricing or automatic higher fare rates when the taxi demand is high currently practised by TNO will also be allowed and may also apply to conventional cabbies. "Consumers will decide which is more attractive to use – conventional taxis or Uber, for example" he said. However, street hailing for Uber or Grab drivers won't be allowed. "E-hailing drivers with private cars cannot queue at the taxi stands at shopping malls, hotels, transport hubs or LRT stations. Pick up (passengers) is only strictly via the app, that is from booking 'job' in the app," he explained. For identification, Grab and Uber cars will be assigned with a logo at the door or windscreen of the car. "Cabbies will still have the advantages over e-hailing drivers in many ways such as lower highway tolls and picking up passengers at designated areas," he added. On Sunday, theSun reported that Land Public Transport Commission (SPAD) had proposed to the Cabinet to revamp TEKS1M's model by providing cabbies the opportunity to earn individual taxi permits and special funds for new taxi purchase. The Cabinet is due to make a decision on the SPAD's 11-initiative proposal next month. Meanwhile, Big Blue Capital (M) owner Datuk Shamsubahrin Ismail said the revamp benefits e-hailing app Uber and Grab instead of fulfilling its intended objectives. He said instead of helping the taxi drivers exit the 'pajak' (leasing) model and move towards entrepreneurship, the proposal seems to create a bigger opportunity for the e-hailing app. "The transformation plan is not helping the taxi industry or local taxi drivers but rather allows the e-hailing app to further penetrate the market," he said, adding the issuance of individual taxi permits is nothing new as it has been done in 2013 where some 2,000 permits were issued under TEKS1M's first phase with similar offer," Shamsubahrin said during a press conference yesterday. He said not many taxi drivers took up the offer due to difficulty in getting bank loan. Shamsubahrin urged SPAD to put more focus on enforcement by strictly using their Land Public Transport Act to punish any public transport operators who violated any public transport rules and regulations.